I loved the movie Matilda since I was a child. I mean, were there any children that didn't love that movie growing up. I haven't seen it in quiet some time and oddly, I've never read the book, so I was pleasantly surprised with the play. I didn't fully remember the story, but I always remember it being so fun. As an adult, the overarching theme of the story is pretty dang sad (a bright, young child who's parents take pride in money and looks over intelligence and kindness). Honestly, it started off a little iffy for me - I wasn't sure I was going to love it. As we further into the story though, I was fully engaged. I'll admit it - I cried, but I also laughed so hard that I cried. The acting was brilliant, both the adults and the children. 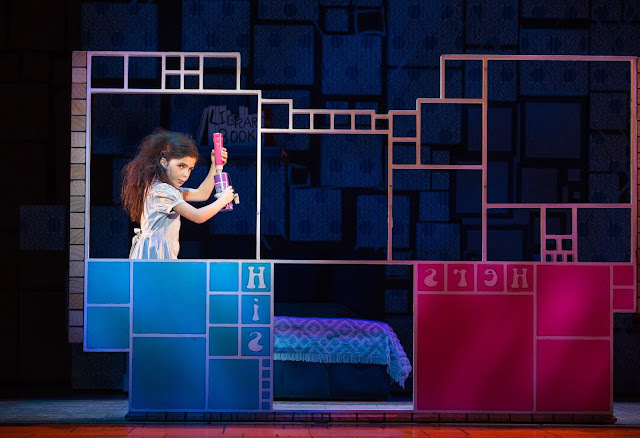 Jenna Weir was a wonderful Matilda - small, but incredibly powerful. I am literally still in awe of the voice that came out of her. I've also determined I never want to work in theatre. That sounds bad, but read on. I have no clue how those stages function. I did One Act Play in high school, but I've never seen anything quiet like this. Sets were moving on their own. I'll never figure it out, and I don't want to - it's pure magic, and I know there were several times during the show I sat there with my mouth gaping open like an idiot. Major questions - 1. Where did the cake go? 2. How were the desks moving? 3. How was the board being written on? and most importantly 4. 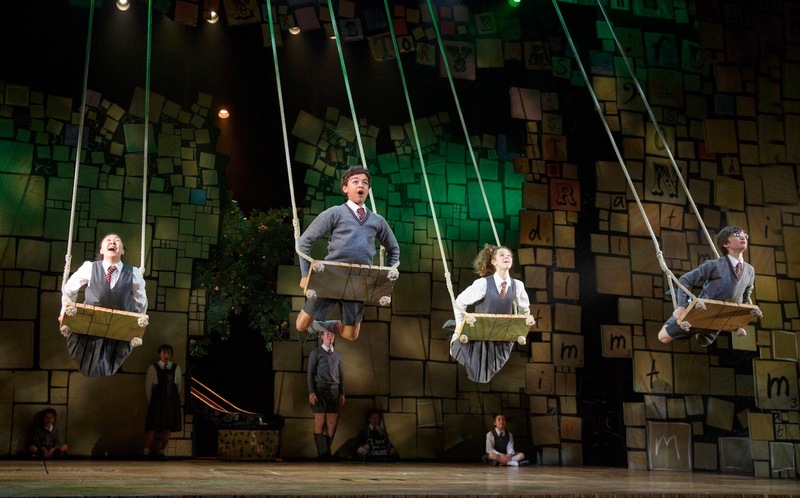 HOW IN THE WORLD DID MISS TRUNCHBULL SWING THAT POOR LITTLE GIRL AROUND BY HER PIGTAILS? I guess the world may never know. Besides the set and how it functioned, I also very much enjoyed the performances of Matt Harrington (who was absolutely hilarious as Mr. Wormwood), Dan Chameroy (who portrayed Miss Trunchbull to the t! ), and of course, Jenna Weir (mentioned above as Matilda). I was amazed by the entire show, and even Andre was impressed. I definitely recommend checking out the performance! 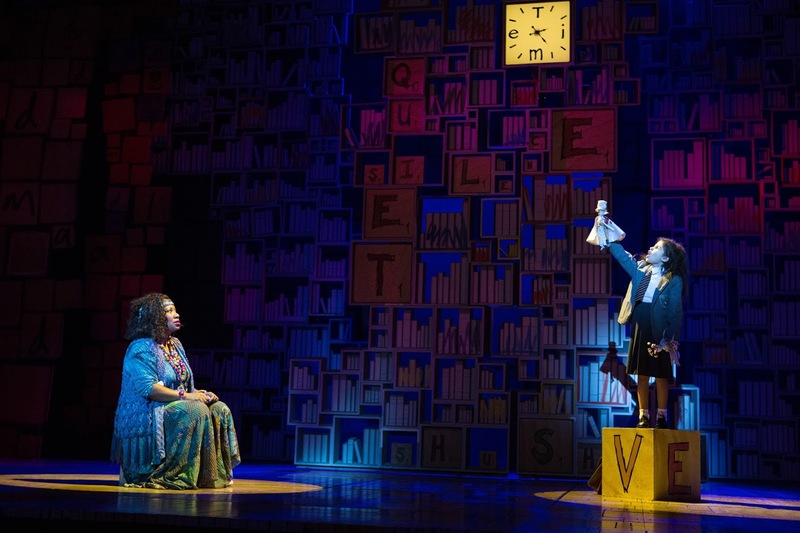 Matilda the Musical is winner of 70 awards, including four Tony Awards®. If you live in Atlanta, you can catch the show through Sunday, April 23. Students can receive discounted tickets with their valid student ID. 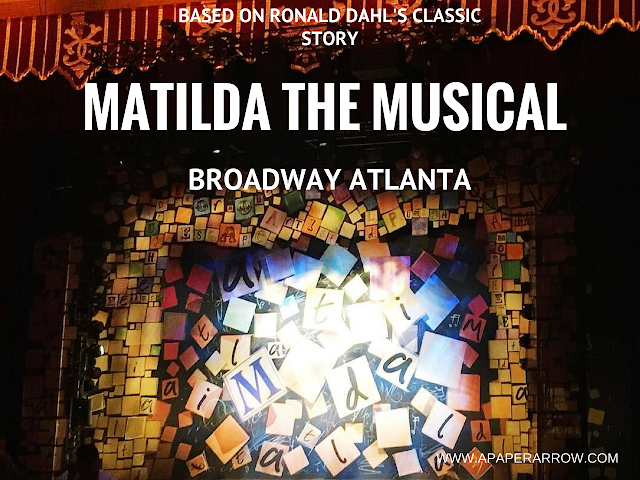 Check to see when Matilda the Musical is coming to your city here. Connect with Broadway in Atlanta on Facebook, Twitter, and Instagram. Have you seen Matilda the Musical? What are some of your favorite musicals to see live? I received tickets to see this show free of charge as a member of the press. I did not receive any additional compensation. All opinions are 100% my own. That musical looks like a lot of fun! I've actually never seen Matilda, is it also a book? Anyways, I don't know what it's about but it seems like it has a fun story line. I might have to start by watching the movie! YES! It's a children's book from Ronald Dahl (he also wrote Charlie & The Chocolate Factory and the BFG). I haven't read the book, but the movie is so fun and so was the play! Ah, I would love to see this! I actually just re-watched the movie a couple of weeks ago and the book is really fun too. I'm going to have to see if it's coming anywhere near me soon. I haven't watched the movie in a while and I'm definitely wanting to watch it again. I think you would love the play! I hope it comes to a city near you. I saw Matilda last year (I have season tickets to my local theater) and I REALLY liked it. The movie is such a classic and I thought they really did it justice with the play. Theater stuff is SERIOUSLY magic. I'm always amazed at how they do it all. I was such a fun play. I really enjoyed it. And I definitely agree about theatre being magic - it's mind blowing!